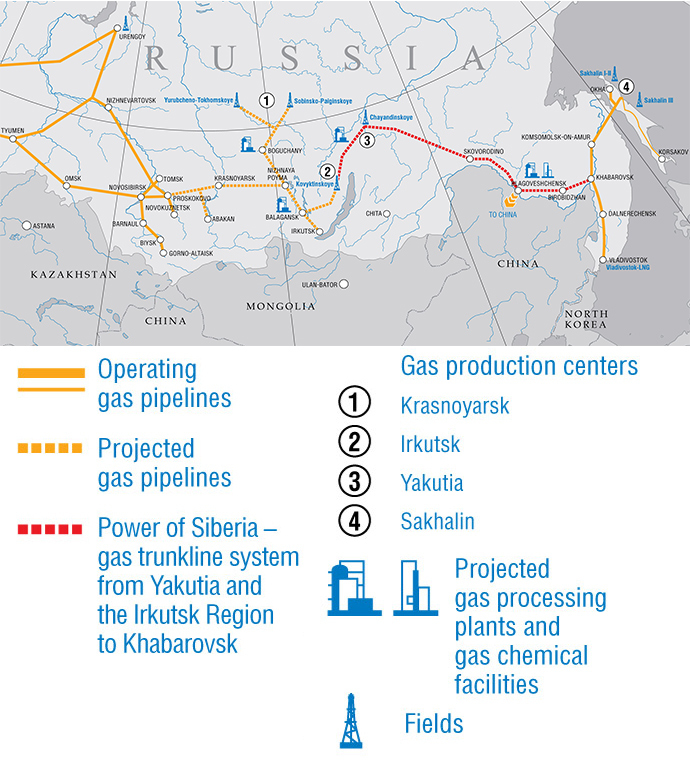 JNN 05 Sept 2014 Moscow : Russian President Vladimir Putin and Chinese Vice Premier Zhang Gaoli have launched the construction of the first part of Gazprom’s Power of Siberia pipeline – which will deliver 4 trillion cubic meters of gas to China over 30 years. “The new gas branch will significantly strengthen the economic cooperation with countries in the Asia-Pacific region and above all – our key partner China,” Putin said at the ceremony outside the city of Yakutsk – the capital of Russia’s Republic of Yakutia on Monday. 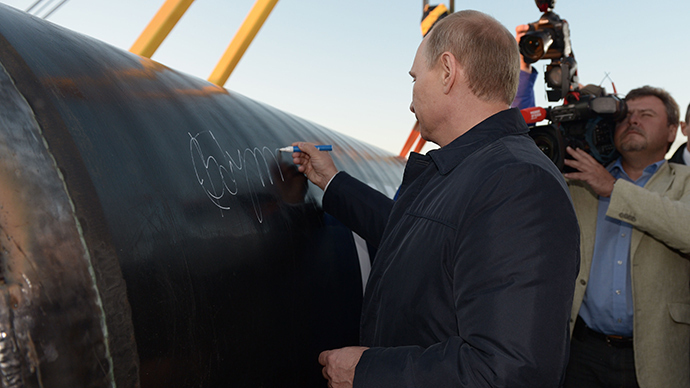 Both President Putin and Vice Premier Zhang Gaoli signed the freshly-welded pipeline in a time-honored Russian tradition. The ‘Power of Siberia’ was welded together by workers from Chayanda gas field, overseen by CEO Aleksey Miller. “Gazprom is always a reliable supplier of gas to its customers – which also applies to the ‘Power of Siberia,” Miller said. The 3,968 km pipeline linking gas fields in eastern Siberia to China will be the world’s largest fuel network in the world. Both Putin and Vice Premier Zhang Gaoli have called the project the world’s largest construction project, as investment from both countries will be more than $70 billion. Putin also said that China can become a shareholder in the Vankor oil and gas fields in the Krasnoyarsk region in Eastern Siberia. China will enter into a strategic relationship with Rosneft, Russia’s largest oil company, which owns the field. In May, Russia’s state-run Gazprom signed a 30-year gas deal with China’s CNPC valued at $400 billion. This entry was posted in Asia Pacific, Europe and tagged China Russia Gas Pipeline, Gazprom, Strategic Partnership. Bookmark the permalink.